Well, this isn’t going to be popular with the anti-vaccine religion, since they go all in with the old “too many, too soon” trope which says that our children get way too many vaccines when they’re too young. Ignoring that thoroughly debunked myth, the powerful meningococcal vaccine that trains the immune system to attack the bacteria that can lead to deadly meningitis has now been approved by the FDA for 1-9-year-old children. I’ve written more than almost 200 articles about the safety and effectiveness of various versions of the HPV vaccine. As a result, I have focused a lot of those 200 articles on Gardasil long-term safety. There have been huge studies, one that includes over 200,000 patients and another that includes over 1 million patients, that have provided solid and nearly incontrovertible evidence that support the Gardasil long-term safety – nevertheless, the anti-vaccine tropes and memes about the HPV cancer-preventing vaccine persist. Though it is frustrating that some researchers publish “evidence” from small studies that are poorly designed in an attempt to invent issues with HPV vaccines if you look at the best designed unbiased studies, the facts are clear–Gardasil is safe and effective. It could be one of the safest and most effective vaccines since it was developed and studied in the era of harsh, and mostly unfounded, criticisms of vaccines by certain antivaccine activists. Over the past few years, there has been a resurgence in mumps outbreaks across the USA and other parts of the world. Although these outbreaks did not spread widely as they did before the advent of mumps vaccines, it still required some scientific research into why this happened. 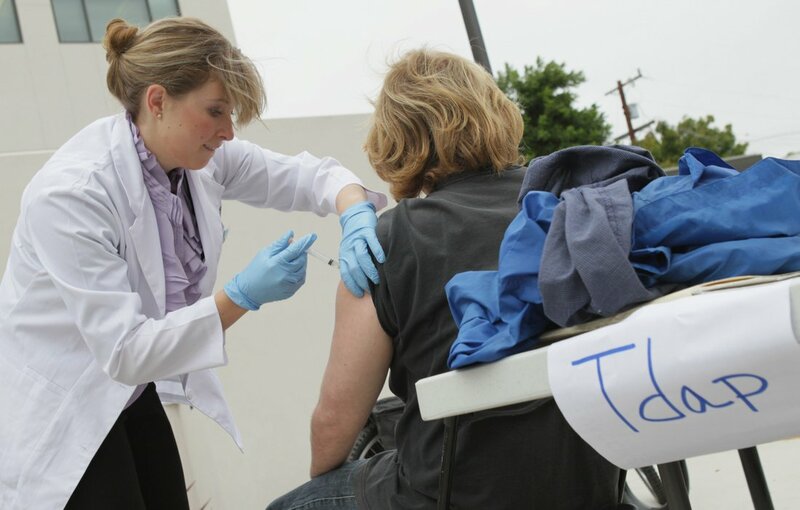 According to just published peer-reviewed research, much of the mumps outbreaks may result from waning mumps vaccine effectiveness. As someone who spends an inordinate amount of time reviewing stories about vaccines, I read way too many tragic ones about children dying from vaccine-preventable diseases. But a recent story, about a six-year-old boy named Ryker Roque who died from a rabies infection, was particularly sad and devastating. He could have avoided rabies, and its horrific consequences, with just a couple of better choices from his parents. If only they had used the rabies vaccine immediately, this would not be a story. 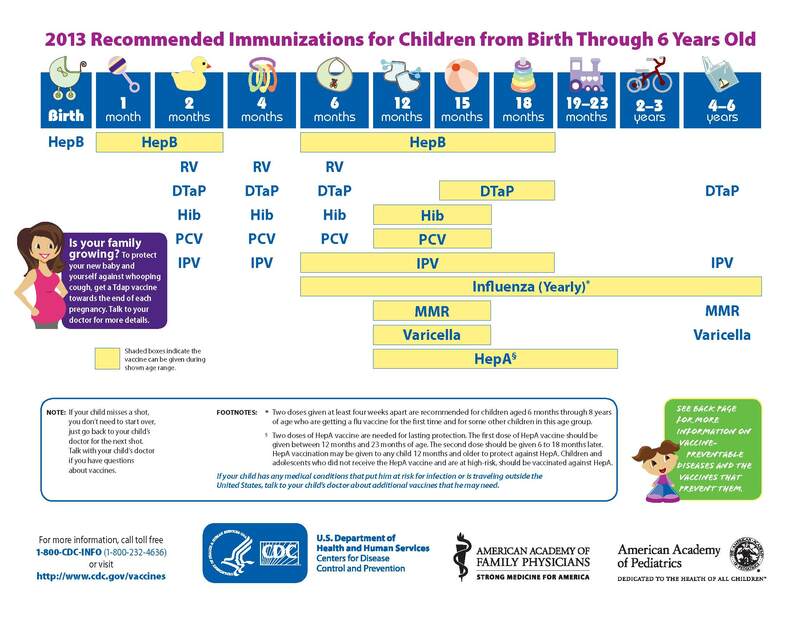 The American Academy of Pediatrics (AAP) is now recommending that infants receive their first dose of the hepatitis B vaccine within 24 hours of birth. This recommendation is in line with the guidance of the CDC. Hepatitis B is a serious disease that is easily preventible with the vaccine. Yet, the hepatitis B vaccine is one of the most vilified of the vaccines by the anti-vaccine crowd. On 19 July 2016, New York Attorney Patricia Finn filed a complaint in a federal district court against the pharmaceutical firm Merck, officials in the Department of Health and Human Services, and Julie Gerberding (formerly director of the CDC, and currently Merck’s Executive Vice President for Strategic Communications, Global Public Policy and Population Health). This Merck vaccine lawsuit, called Doe v Merck, is an amended complaint that was filed on 20 July, and will be the one examined in this article. While the complaint was filed in the name of a Jane Doe and Baby Doe, the text of the complaint made it very clear that Jane Doe is in fact Maria Dwyer, and Baby Doe is her son Colin Dwyer. Colin Dwyer’s case was one of the test cases in the Omnibus Autism Proceedings (OAP) for the National Vaccine Injury Compensation Program (NVICP). The Dwyer case, like the other five test cases in the OAP, was rejected. The Doe v Merck complaint makes two demands. First, that Merck’s license to produce the measles, mumps, rubella vaccine (M-M-R®II ) be revoked. it includes many factual inaccuracies. There are a lot of anti-vaccine tropes about the CDC (Centers for Disease Control and Prevention), none of which make a lot of sense. There’s the conspiracy theories that the CDC is bought off by Big Pharma. Or the CDC whistleblower meme that they hid evidence that vaccines cause autism. However, the CDC usually gets the science right, like they did with the recent FluMist vaccine recommendation. The CDC, a federal government agency made up of scientists, physicians, and public health officers, who come from civilian and military backgrounds, are the first responders to almost any infectious disease outbreak across the world. They are the front line of science against disease. They use scientific data, gathered through clinical trials or lab experiments, to make public recommendations about diagnosing, treating and preventing diseases. They’re impartial about their recommendations – they go where the data leads them. There antivaccination crowd runs the gamut from truly scary deniers who invent all sorts of lies to try to stop vaccines to people who seem to think that the risk of vaccine adverse events somehow surpasses the risk of the disease itself, mostly because they lack the cultural memory of what it was like in the world pre-vaccines. Vaccines are a critical part of the drop in the infant mortality rate by over 90% since the 1930’s, so we have just forgotten. There is a group of parents that kind of sit in the middle of the so-called “vaccine debate.” They are not necessarily opposed to vaccinations, but they pick and choose which vaccines they give their children, and they have come up with a revised vaccine schedule which has no basis in science. Dr. Sears (there’s four of them in the family, and they all say the same thing) is one of the more notable proponents of the revised vaccination schedule. In general, the vaccine delayers avoid some vaccines (Hepatitis-B being the most important one), and delay or even eliminate boosters shots. The current US-based vaccine schedule is established by some pretty bright people. The Advisory Committee of Immunization Practices, a part of the US Centers for Disease Control and Prevention, the world’s leading center for detecting and preventing infectious diseases, is made up of some of the nation’s leading experts on infectious disease, immunology, vaccines, and public health. Their only goal is to determine which vaccines are necessary to protect the lives of citizens of the USA, and then to establish a healthy schedule for those vaccines. They do not pull this data out of thin air, but is based on the best research evidence available to them. As I’ve written before, vaccines prevent over 42,000 deaths every single year. A recent study found that delaying the MMR vaccine (for measles, mumps and rubella), in the second year of life, doubled the risk of a seizure occurring after the vaccination. Now seizures are not unusual with vaccination, and are a result of the high fever that some children get after vaccination. But seizures are fairly common in children who haven’t been vaccinated recently. It’s always scary to parents, but they are minor, usually cause no long-term damage, including epilepsy. The analysis revealed that there was no correlation between receiving any vaccine and experiencing seizures for children during their first year of life. However, those children who received the MMR vaccine between 12 and 15 months old, when it’s recommended, were at about 2.6X higher risk of a seizure than an unvaccinated child. That translates to about one seizure for every 4000 children receiving the vaccine. If parents delayed the MMR vaccine until any time between 16 and 23 months, the risk of a seizure was 6.5X greater than when not being vaccinated. In other words, delaying the vaccine 4-8 months more than doubles the risk of seizures. In general, febrile or acute seizures are not serious, they just seem scary. Most vaccines, such as DTaP (the vaccine for diphtheria, tetanus and whooping cough) actually show no difference in seizures between vaccinated and unvaccinated children. Seizures occur in about 5 out of 100 children sometime during their lives, with 95% of them not serious or symptomatic of other diseases. In other words, the background risk of seizure might actually be higher than the incidence observed in vaccinated children, just in case a reader wants to head down that path. Thus, if you’re coming up with your own vaccine schedule, you’re increasing the risk of a minor, but kind of scary, adverse event–a febrile seizure. Why would one do that to gain no other benefit? That’s not clear to me. Daley MF, Yih WK, Glanz JM, Hambidge SJ, Narwaney KJ, Yin R, Li L, Nelson JC, Nordin JD, Klein NP, Jacobsen SJ, Weintraub E. Safety of diphtheria, tetanus, acellular pertussis and inactivated poliovirus (DTaP-IPV) vaccine. Vaccine. 2014 May 23;32(25):3019-24. doi: 10.1016/j.vaccine.2014.03.063. Epub 2014 Mar 31. PubMed PMID: 24699471. Hambidge SJ, Newcomer SR, Narwaney KJ, Glanz JM, Daley MF, Xu S, Shoup JA, Rowhani-Rahbar A, Klein NP, Lee GM, Nelson JC, Lugg M, Naleway AL, Nordin JD, Weintraub E, DeStefano F. Timely Versus Delayed Early Childhood Vaccination and Seizures.Pediatrics. 2014 May 19. pii: peds.2013-3429. [Epub ahead of print] PubMed PMID: 24843064. Recently, there have been several outbreaks of whooping cough (Bordetella pertussis), including one that reached epidemic levels in Washington state, which has been considered one of the worst pertussis outbreaks in the USA during the past several decades. The disease lead to 18 infant deaths in the USA during 2012.